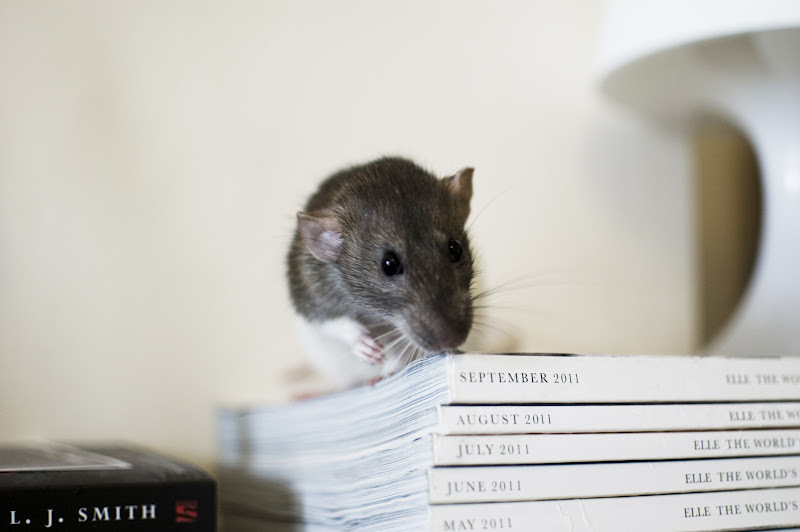 For those of you who haven't been introduced, this is my pet rat Elfin, and she's also the star of my blog header! 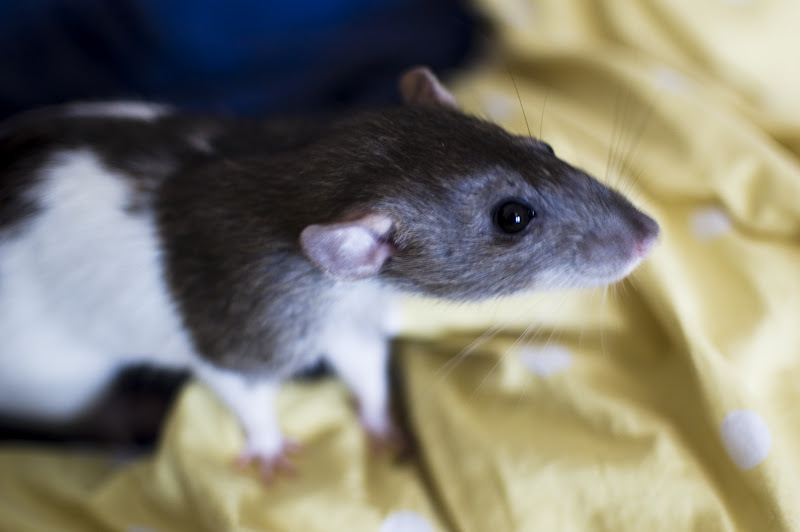 Rats are so widely disregarded because of stereotype, but they are actually my favourite animals in the world and I've kept them as pets since as far back as I can remember...there's obviously a big difference between sewer and domestic rats. I often see Elfin as a smaller version of a kitten or puppy; she's funny, cute and caring, (and a little bit crazy). She responds to her name, forms habits and play fights with me...a lot of people don't realise how clean and also intelligent they are! Do you have any pets? Elfin checking out Elle magazine, great taste! 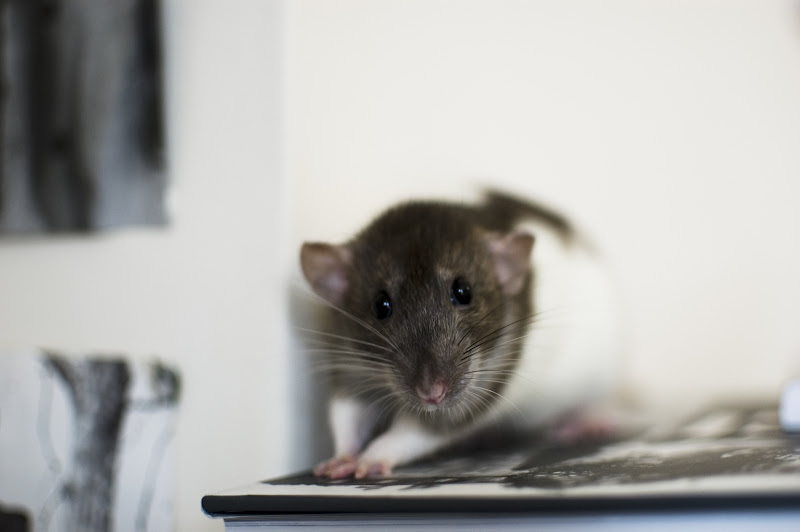 Your rat is adorable! I agree that they get such a bad reputation, but they're so cute! Lovely photos of your darling! I have a cat called Fluffy Bum The Cat. It's a terrible name but he's a brilliant pet.